1 day: Arival in Istanbul. accomodation in hotel 3 or 4 stars. Dinner. Night. 2 day: The Palace Dolmabahche, the church "St. Sofia", The Blue mosque, the Palace "Topkapa". Dinner in Turkish restaurant with attractions - show-program with Oriental and Turk folk dances. 3 day: The Hypodrum - The obelisk of Egypt, The Snake column, the Phountain of Wilhelm 2. Visiat of the site "Jeditepe"in the Asian part of the city. 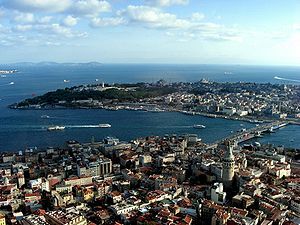 Return to the European part and visit of the city centre - Taksim. Criuse on Bosphorous. Dinner in Fish restaurant in "Galata", near the Golden horn. 4 day: Visit of the Aquarium "Turkuasu" and Kapala Charshi. Departure. Prices depend on the starting point of the excursion as well as on the accomodation choosen. Deposit – 30 % of the prise. Final payment – 7 days before beginning.